There’s no better way to end this week’s so-called ‘POP fest week’, with the only catchy pop number deserving to reign supreme: Rihanna’s ‘Umbrella’. It was a song begging to be covered, one of the reasons I think, is due to its sheer constant, numerous times being played, till it had badly got into the other artists’ head, thus forcing them to think of coming up with their own versions; as if I was pleading them to tears, that I wanted to listen to more of that almost ‘Annoying Song of the Year’. 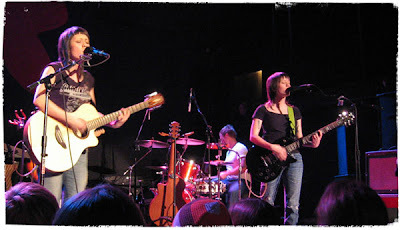 It was Mandy Moore who I first heard came out with her own rendition, soon after a couple of artists followed suit including Canada’s talented twins, Tegan and Sara. So, is it good? Well, here’s a hint, it’s UMBRELLA. How was it supposed to sound any better, or any different, or any likable? But, if an answer is what you’re searching for, well let’s just say this isn’t the best cover of ‘Umbrella’ I’ve ever heard; instead of slaughtering it, they could’ve done a better job - based simply on their previous works. 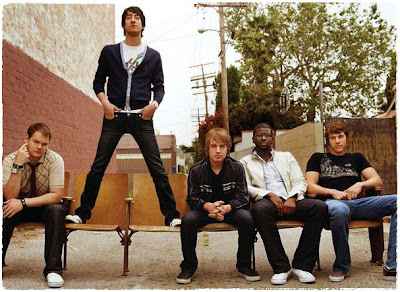 Plain White T’s gave their best shot and judging from their exceptional track, ‘Hey, There Delilah’, the vocals are a bit bland and frequently misses the mark in this one, a sure sign of choosing this song to be made a cover was a huge mistake. We don’t need more of ‘Umbrella’ or any other different versions of it, because it’s going to sound the same anyway, isn’t it? Except with only different vocals and being sung acoustically. If anything, we only need less of ‘Umbrella’ - and ONLY, only when it rains.